WRAP has reported on the first 100 days' of progress following the launch of the UK Plastics Pact. 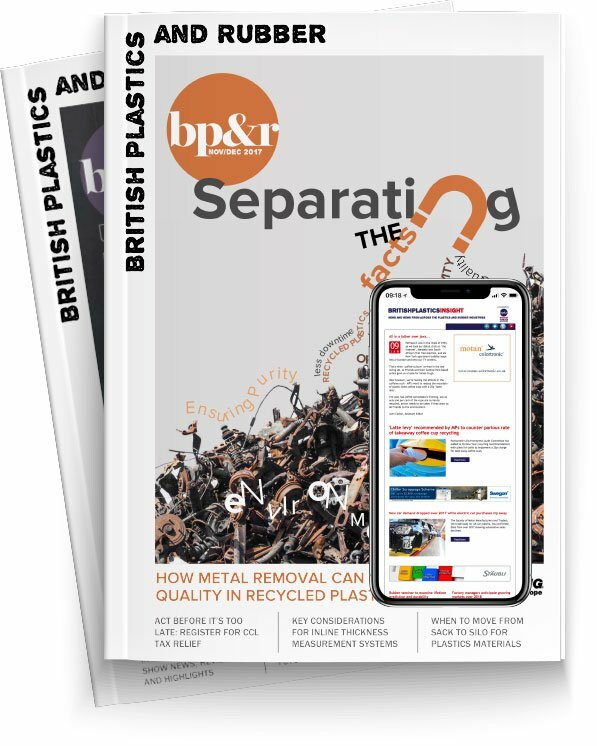 Marcus Gover has said that WRAP has been “delighted” by the response and commitment from innovators, designers, manufacturers, retailers and the reprocessing industry to embrace the UK Plastic Pact. On August 6, some 100 days on from its launch, WRAP’s CEO wrote an open letter thanking stakeholders for their commitment to change. The Pact now has 64 business members and 22 supporters, who are together responsible for over 80 per cent of the plastic packaging on UK supermarket shelves. There is an additional 400 businesses, NGOs and associations that have requested to be informed about progress. Gover said the response and interest was a powerful platform for change and that it has been “great to see the bold initiatives which have been implemented” by the Pact’s members and supporters. An Advisory Group consisting of experts held its first meeting in June, and the Collaborative Action Group also set up is looking at specific aspects of the ways in which we use plastics. “It will lead to potentially ground-breaking work on how we collectively define what is ‘problematic’ single-use plastic, and what is recyclable, reusable and compostable, as well as how we tackle challenges of plastic film,” Gover wrote. He addressed that businesses, whilst having a critical part to play, were “only part of the solution”, adding that WRAP has been working to encourage policy change on behalf of the Pact. “A hugely important piece of work has been the consultations that WRAP, along with INCPEN and the Advisory Committee on Packaging, conducted across the country to explore the possible ways of reforming current packaging regulations,” he continued. “There was widespread support for radical reform as a way of reducing the environmental impact caused by the way we use and dispose of packaging, especially plastic packaging. “Having that systemic year-on-year funding could be a game-changer – incentivising local authorities to collect plastics and supporting the investment in our own recycling infrastructure,” he added. Gover said he was “encouraged” by the Secretary of State’s response and his recognition that the recommendations would inform policy decision making. “The need for government policy to underpin the commitments made by business will be key to us achieving the ambitious goals we have laid out in The UK Plastics Pact,” Gover said, adding that Governments in the devolved administrations, too, are showing commitment to tackling plastic pollution. WRAP will, he said, be working to tackle the inconsistency in household plastic recycling which he said causes “confusion and frustration”. This will be done, in part, though a ‘Recycle Now’campaign to mark Recycle Week in September. October will see the first major gathering of members and supporters when progress will be reviewed, milestones shared and progress towards reaching the 2025 targets charted. “We’ve come a long way in our first 100 days. But there is still a lot to do. We have the collective will, from government, from business, and the power within us, to lead the global fight against plastic pollution and change our relationship with plastic for good,” he concluded.